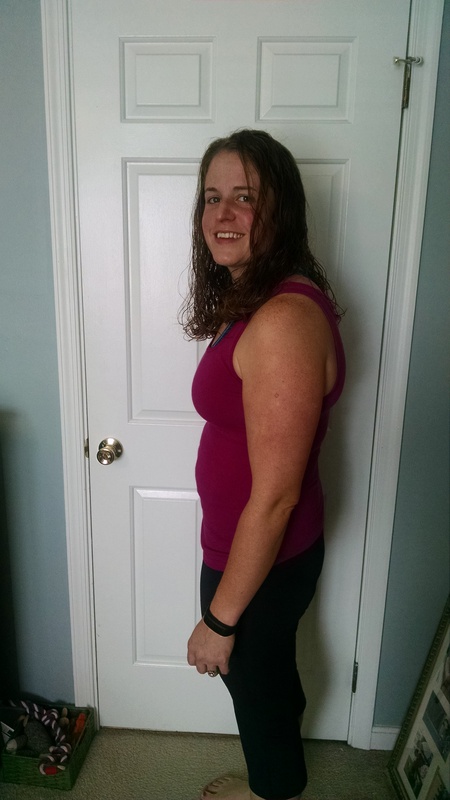 21 Day Fix Extreme Mid Way Point!! 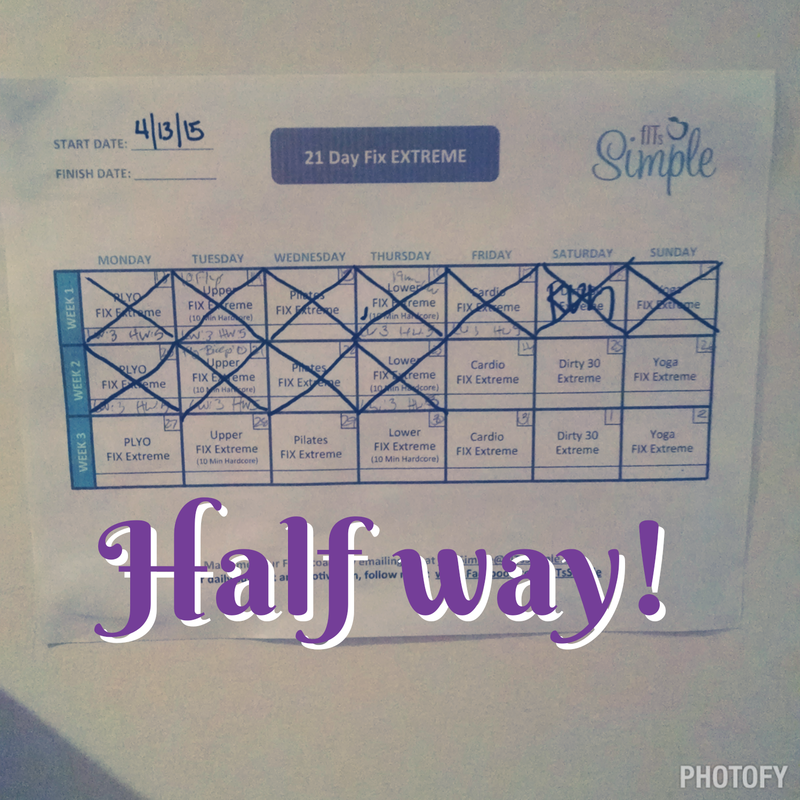 Alright, yesterday marked my official half way point through the 21 day fix extreme! I’m loving this program so much more than I thought I would. Below I’ll write what I’m thinking about the program as far as the workouts and nutrition but I’ll also list some tips for being successful on this program. They are hard! Autumn Calabrese is one tough cookie. You’re using weights or a resistance band every day so its built a lot around strength training which is amazing! The variety is refreshing. One day you’re focusing on arms, the next legs and there is a cardio day, Pilates and yoga. She keeps things moving and my heart rate monitor assures me I’m getting a decent workout in! Some of the workouts I’m burning as much as I am with Insanity!!!! It’s great they are only 30 minutes and I can do them in the comfort of my own home without people watching me attempt some of these crazy moves. Seriously, that dolphin move in pilates is TOUGH!!! I’ve always struggled here and honestly I have not been perfect. I’ve learned over the past year to let that go. Sure, I miss all my unhealthy foods, I’d be lying if I said I didn’t. I’m just tired of not having energy and not feeling healthy so it’s worth it to give up my favorite cheats. I get cravings (chocolate!!!) And still struggle to not unravel. Sure, shakeology helps but I still get cravings now and then and I still surcomb to them. I’m still seeing and feeling the results despite some hiccups. I’m sure my numbers won’t be as amazing as I would want but I’m gearing up for round 2 already. A few bad days doesn’t define you and its certainly helped me realize this is a lifestyle change, not a “21 day fix” I can actually take this plan and incorporate it in to my life and still see/feel results!! READ through all the materials they send you. Then PLAN! I plan my menu the week before, at least for the first part of the week but I try really hard to get the whole week planned. I plan leftovers by doubling recipes, freezing extras I wont use in a couple of days to make it easier for a grab and go meal. Grilling 3 pieces of tilapia & 3 sweet potatoes is just as easy as grilling 1 piece of each. I plan simple meals when I either don’t have time to plan or cook. This may be viewed as boring but it’s not something I do every day and it helps when I’m feeling overwhelmed or limited on time. My favorite simple meal: Grilled fish, veggies and sweet potato with cinnamon. Simple meal are effective so find several simple meals to use as staples. I also love my bean & cheese burrito for a quick lunch. I try new recipes when I’m feeling bored with my meals. I have learned to easily adapt my already loved meals (see my Mexican Quinoa dish that I adapted pretty easily). Pinterest has a TON of already “fix approved” meals. When you have 5 extra minutes explore new recipes and save them. This way you’re not trying to find new recipes, create your meal plan and create shopping list all at once. Keep staples in your cupboard and fridge for easy to throw together meals. I always have beans, whole wheat pasta, tuna, eggs and yogurt on hand. I also have tons of frozen fruit and vegetables in my freezer. Frozen fruit can be used in oatmeal, yogurt or with my shakeology. Frozen vegetables can be used in an omelet, a side dish for lunch or dinner. Frozen vegetables are not my favorite but if I can’t get to the store it keeps me on track. 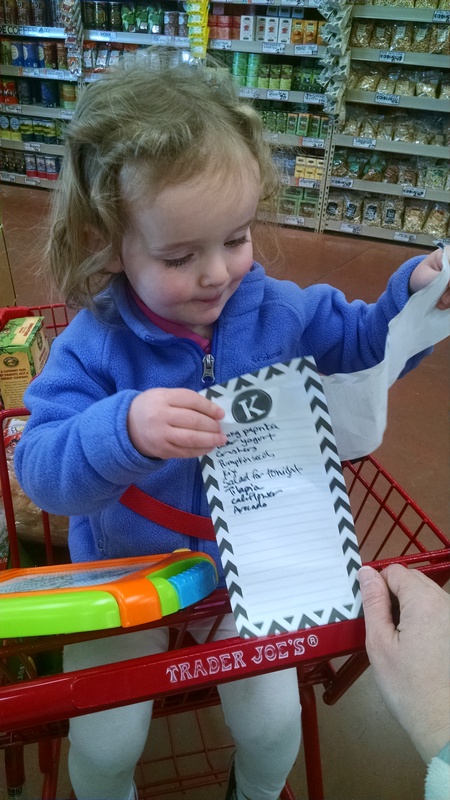 Create a weekly MUST have grocery list of things you ALWAYS eat. I definitely have several items I eat every week and having this already created shopping list makes it easy to not forget things. On my list: Spinach, Yogurt, Apples, Bananas, Eggs, Baby Carrots, frozen fruit. I use the app Evernote to keep this list so it is always with me. Make your grocery list while making your weekly meal plan. Take your measurements and before pictures. These are so valuable when your weight isn’t budging to gage your success with the program. Focus on how you are feeling not on what the scale says. 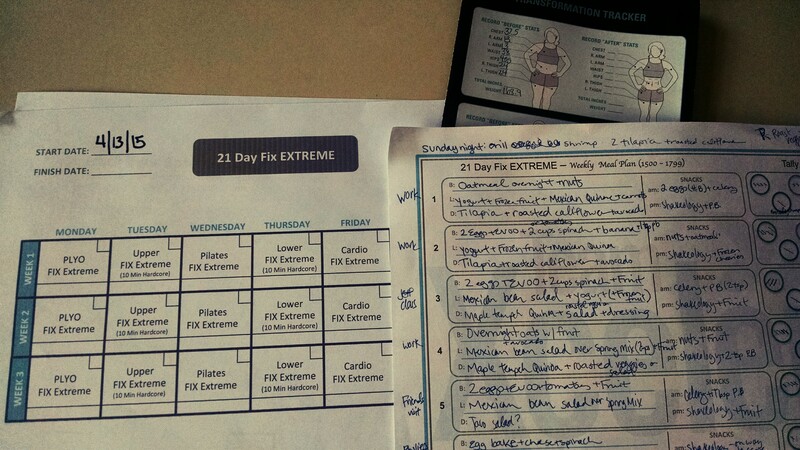 Use a meal planner and your workout schedule. One benefit of having me as your coach is that you’ll get some bonus materials not included in your challenge pack. 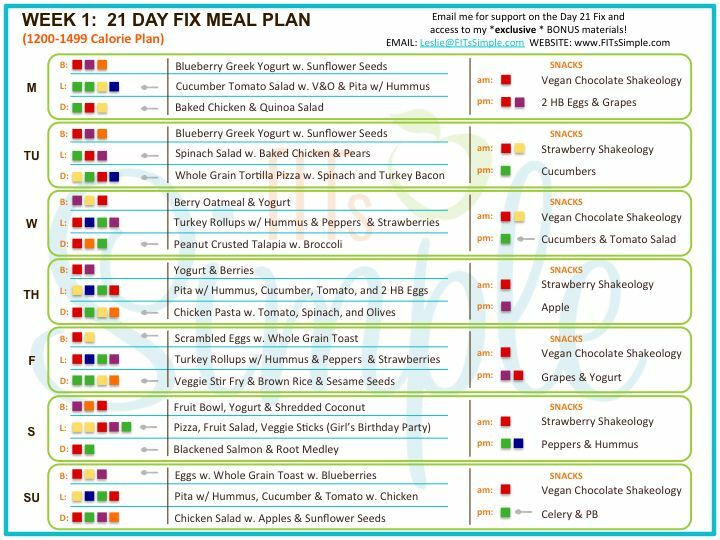 You’ll get a meal planner like the one below and an extra printable workout schedule like I showed you above. This way you can do several rounds of the fix with new FREE materials every time. Use these worksheets every day! Ask for help! You can sign up for a free beachbody coach who will motivate and support you through your journey! They will help problem solve, share recipes and put you in private groups on facebook around the program you’re completing! Did I mention a coach is FREE! If you don’t have a coach you can sign up with me to be your coach. Also, enlist help in your spouse, friends, co-workers and family. Your loved ones want you to be healthy and want to support you so ask for help when you need someone to watch your kids so you can get the workout in, help you chop the vegetables or swap healthy recipes with one another. Enlist a friend to go on this journey with you, the more people you surround yourself on the same mission the more support and motivation you’ll have which ultimately means you will more than likely succeed. I LOVE the little colored containers. I thought I would hate them and they would just add clutter to my already full Tupperware drawer. They make it so much easier to measure and toss in my bag on my way to the park or work. They don’t even make it to my Tupperware drawer because they’re always drying in the rack or packed for the next day. It takes some time to get used to figuring out how much of what color container and when. Honestly, by the 2nd week you’ve figured it out and can enjoy and learn from the process. 21 df teaches you the value in preparing food and how to set yourself up for success by balancing your meals! If you’re not prepared you’re going to be rooting through cupboards looking for any unhealthy snacks possible, trust me I know from experience!! Bottom line…. I’m proud of what I’ve accomplished these past 11 days and looking forward to the last 10. I feel full and satisfied with my meals and am loving the commitment and accountability of my Facebook group. I have some challengers in my group who are going to get some seriously awesome results with all the hard work and dedication they’re putting in! I’m going to use their energy to help drive me in to my own motivation and dig in these finally days. Its only 21 days after all!! Anyone interested in joining me for a 21 day fix group? Join my team by contacting me, findingmotivationeveryday@gmail.com ! Who wants to commit 21 days to a healthier version of themselves?! 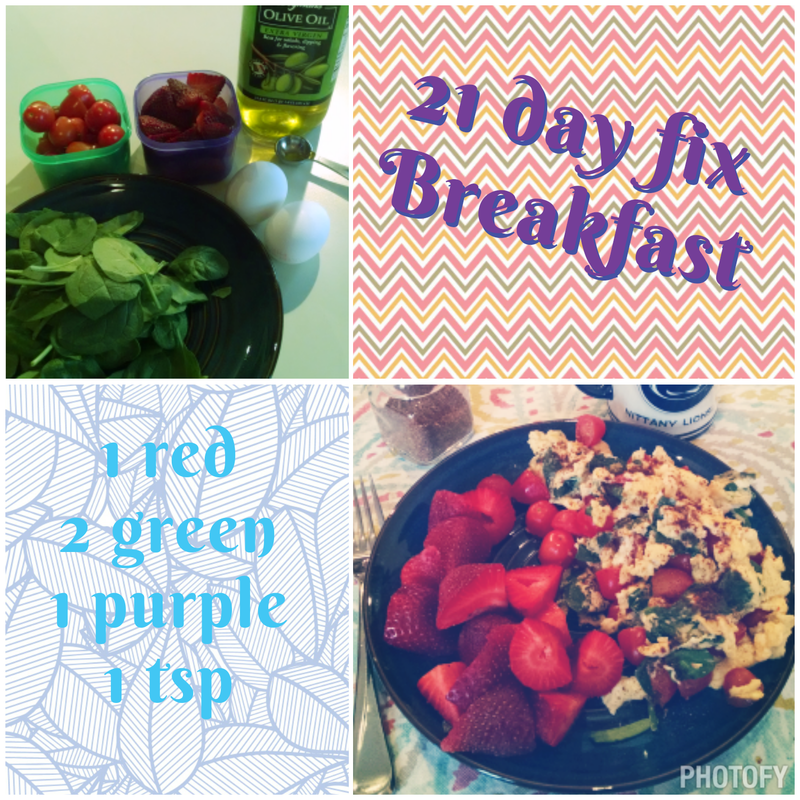 21 Day Fix Extreme Starts TOMORROW!!! I am BEYOND excited to start this new fitness program! 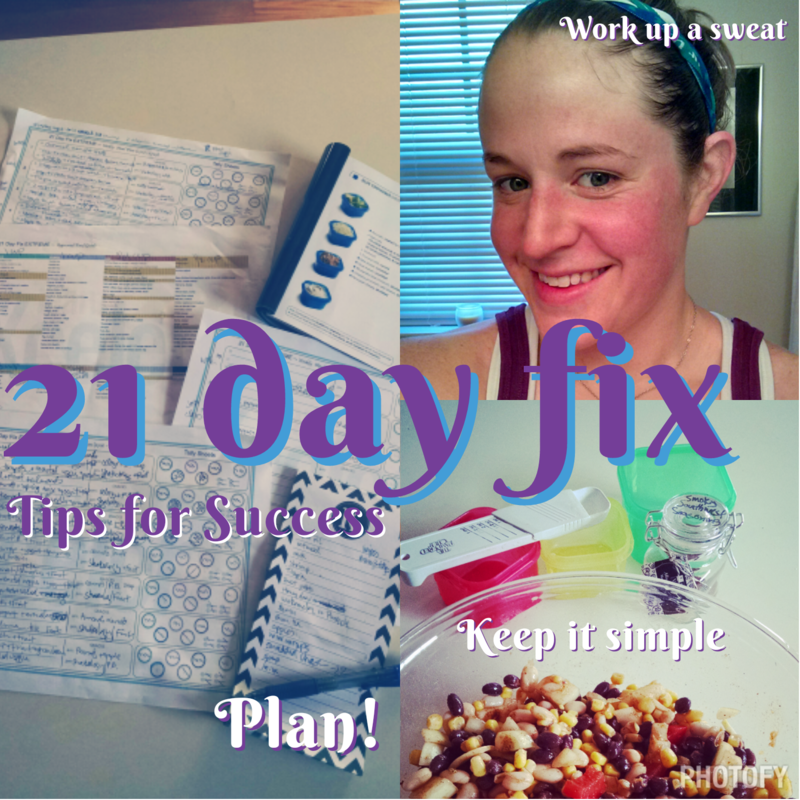 I’ve had my eye on the 21 day fix for about 6 months but honestly, I love Shaun T so much I was scared to make the jump in trainers. Crazy, right? I really struggle with nutrition. I seriously could work out 3 hours and day and be fine but I can’t control the fork in the kitchen… what gives?!? That’s probably the biggest factor in why I bought the 21 day fix Extreme. I bought the Extreme over the regular because physically I’m ready for a challenge after doing P90x3, Insanity and most of Insanity Max 30. I want to make sure that I’m pushing myself so that I can get the results I want (in only 21 days I might add!!!). 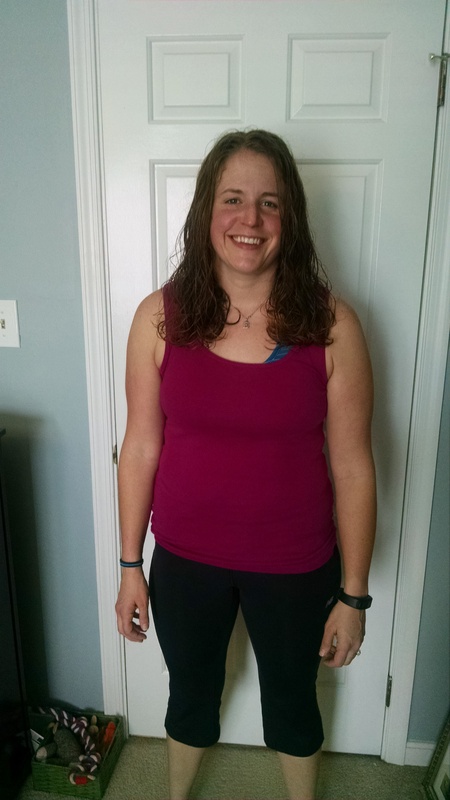 I’m running my first challenge group with the 21 day fix (2 of us are doing the extreme)! I’m a little nervous as this is my first group to run by myself and it’s a totally new program but I like the challenge and I’ve done the nutrition part of this program for the past couple of weeks and I LOVE it. It’s so easy and easy to adapt what you’re already eating. If you need help, contact me, I’m more than happy to help! That link takes you to my about me page where you can find my e-mail. Anyway, the group has spent the last week prepping and I have everything ready for this week!! I’m sure bumps will happen and that’s okay, I’m as ready/prepared as possible and that’s all I can do. I went grocery shopping today and prepped most of the food, it only took me an hour. I’m so excited to see what this group of ladies can do! It’ll be fun to have some good friend and family on the journey with me to hold me accountable and vice versa. Last Thursday I sat down with the Nutrition guide and busted out my meal planner for this week! My upline coach made an easy to use planner that is pretty amazing. I make my grocery list right along with after finding recipes on pinterest and in my bonus guide. Sunday I went shopping for all the goodies, even with my daughter I was in and out of the store with my list. I came home and did a vinegar wash of my fruits and veggies while roasting veggies, cooking fish and prepping my lunches and snacks for the week. That took me an hour! That’s it, I’m done, I’m ready! Let’s do this! Meun planned! Workout schedule ready! Measurements taken! If you sign up for me to be your free coach I share all of my prep materials (food tracker/diary, workout schedule, bonus materials, recipes and more). Plus I”ll add you to groups, support and motivate you so that you get the results you want! Contact me below and we’ll talk. I’ll keep you all posted on m progress as well as weekly reviews of this program. I’m so excited to push play tomorrow! !